Premier in the Académie Royale de Musique theatre in Paris on April 1, 1846, choreography was by Joseph Mazilier danced by Lucien Petipa and Carlotta Grisi. Marius Petipa danced and staged the ballet in 1847 then staged a new version in 1881. Paula Weber is doing variation based on Petipa. Students and faculty both have been scrambling to juggle their performances on the road with rehearsals for the upcoming Spring Dance Concert, on April 18 and 19, in White Recital Hall. 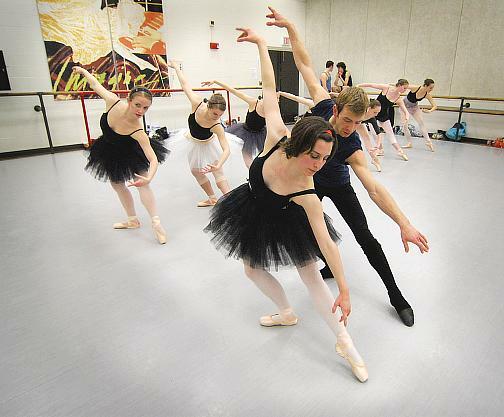 The concert will feature both original works (choreographed by Dance Faculty) and challenging classical ballet works. One of the highlights of this year's concert will include exerpts from the ballet “Paquita," a great works project staged by Dance Division Director, Paula Weber and former Dance Division Director, Mary Pat Henry. 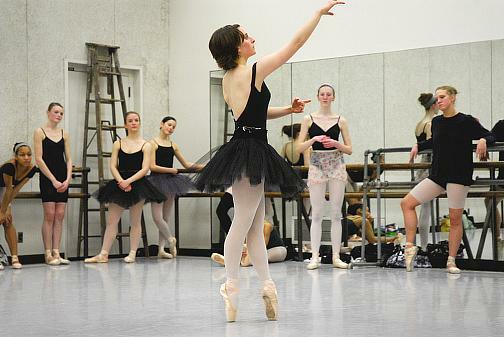 The ballet has been challenging to the dance students, but an exciting opportunity for them to perform a classical work. 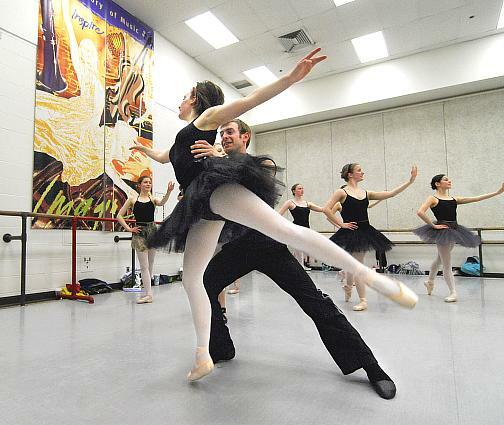 "It is great to be doing a classic ballet this year," said Ben Biswell, a graduating senior who dances the male lead. 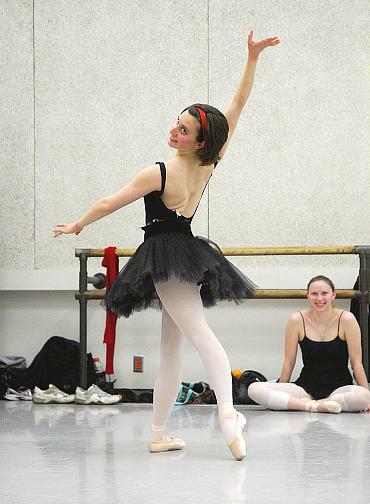 "I am really excited about performing a full length 'Paquita' for my senior year." Molly Vaeth, a junior, expressed similar sentiments about dancing the female lead part. 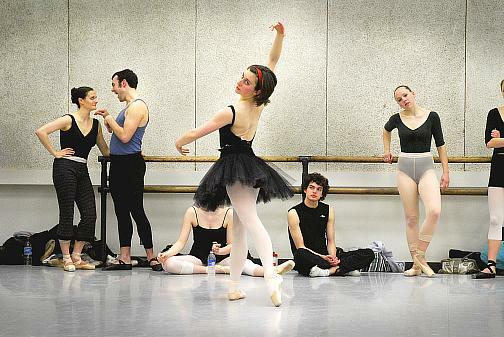 For some of the dancer students, this ballet has allowed them to shine in substantial roles for the first time. "It was kind of a surprise to get the part... I have never had a lead role before," Vaeth said. "It is an honor to do a lead role, and it has really been challenging part to do... but it has been a good experience... working with everyone... we have all worked very hard." Ben Biswell and Molly Vaeth will be alternating the lead roles with Matt Carney and Mary Marshall on alternate nights of the concert. 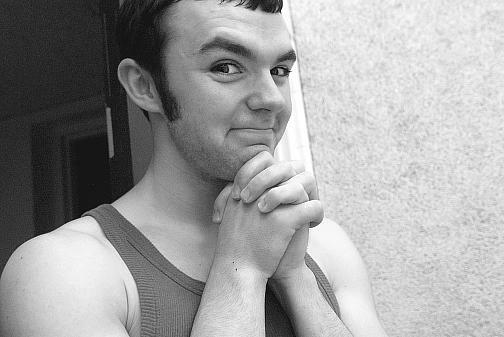 The alternating of lead roles insures that all major parts are covered in the event of a mishap, while also allowing more students to learn and try out lead roles. Will Smith, a junior, will also be debuting in a solo piece. "This is my first solo on stage ... ever since I started dancing at 11 years old," said Smith. "And I am very happy to be doing it... 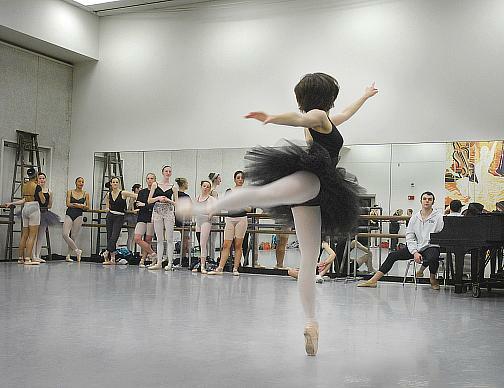 I really love ballet." 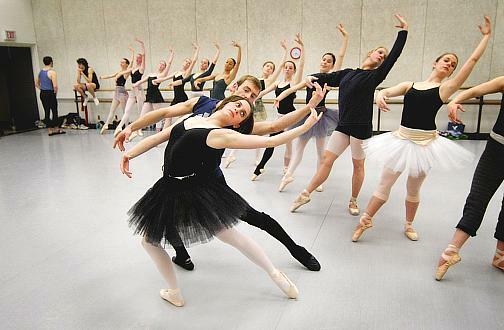 The dance students also realize what a learning opportunity it is do such a classic work. It will also be a valuable asset to add to their dance repertoires. 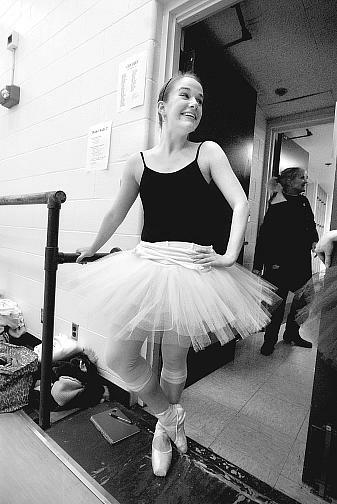 "It is a really good ballet for corps work," commented Stephanie Shipman, a sophomore dance student. "Corps work is really important for dancers to learn... it is very challenging to execute well, and a difficult skill to perfect in ballet. Her comments were also reflected by the views of fellow dancer, Kelanie Murphy, a freshman in the dance program. 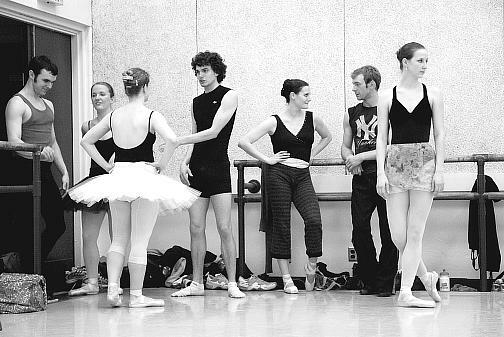 Working together as a group is a fundamental skill for dancers to learn. "This project has been very good experience for us working together as a group," Murphy said. 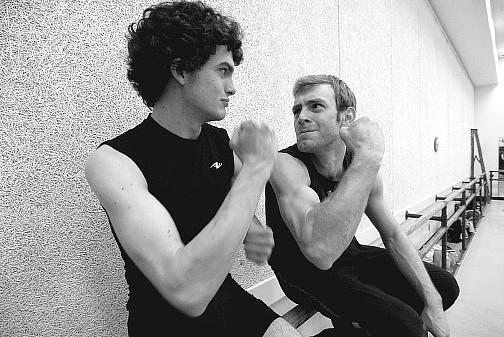 "All the corps work has been good for us... and now that work is all really coming together as a whole ballet." 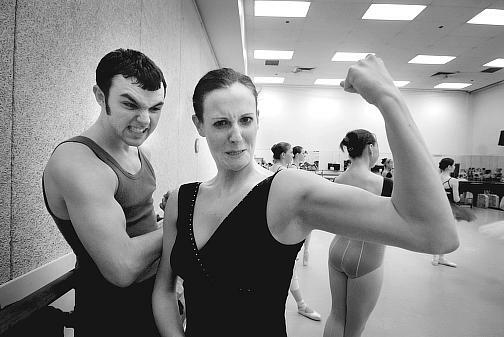 The ballet has also been a pleasant project for the dancers to learn. "Paquita" is a romantic story-ballet with a familiar, but irresistible plot. A Spanish gypsy girl named Paquita falls in love with a French nobleman, Lucien, whom she saves when his life is threatened. He returns her affections, but he is betrothed to Serafina, who is of noble birth and considered a good match for him by his family. So, their affections are fated to be unrequited love. There is, however, a mystery regarding Paquita's past. A family secret is eventually revealed, leading to a surprise change of fortune for Paquita. "It is one of my favorite ballets... it is very romantic, full of spice and character," said Angela Shipman, twin sister of Stephanie. "It is a lot of fun to dance." The ballet premiered in 1846, and was originally choreographed by Joseph Mazilier for dancer, Carlotta Grisi and Lucien Petipa as the ill-fated lovers. Years later, the brother of Lucien, Marius Petipa, who is known as one of the founders of classical ballet, staged his own version of the "Paquita," adding extra dances and leaving his own personal stamp on the ballet. The concert will also feature original works created by the faculty. One piece, for example, will be a new work called “Nuttin’ But Stringz” by Sabrina Madison-Cannon to the music of Bach. The piece will be done in three sections. The music is Johann Sebastian Bach/ "Concerto for Two Violins in D Minor" (performed by NBC S.O., A. Toscanini, A. Jablokov, T. Nishizki, Septet d. Bach), "Bach Air'" (performed by the Royal Philharmonic Orchestra) and Nuttin' But Stringz/ "Broken Sorrow". It will be presented with a cast of 20 dancers (17 female and 3 male). "The inspiration for the piece came directly from the music," Madison-Cannon said. "The first section is a joyful representation, the second a somber trio for two women and one man, and the third is intense, powerful and subtly sensual ensemble section." The program for the concert will include the following pieces. “Perilous”, with choreography by Paula Weber, will be performed to music by John Cage, and will be played live by Associate Professor of Piano, Dr. Jane Soloce. 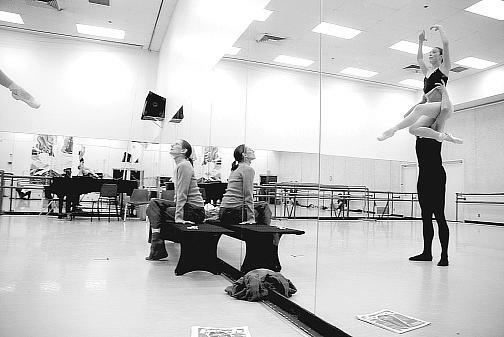 Next will be “Cappricio Saraganto” …a piece choreographed by Rodni Williams, performed to music by Noel Porter. Next on the bill will be “Women of the Cove,” a piece by Adjunct Modern Dance Faculty member, Jennifer Medina. This was a competition piece that was selected by the American College Dance Festival Association adjudicators to be performed on the ACDF Gala in 2004. The "Paquita" ballet will be presented next, followed by “Tango en Skia”, choreographed by Paula Weber, with music arranged by guitarist Douglas Neidt and played live by three of his guitar students. “Nuttin’ But Stringz” by Sabrina Madison-Cannon to the music of Bach will follow. The final piece in the concert will be “Our Town,” choreographed by Philip Jerry and staged by Paula Weber to the music of Aaron Copland after the Thornton Wilder play. The UMKC Conservatory Spring Dance Concert will be held in White Recital Hall, at 7:30 p.m., on Friday, April 18, and Saturday, April 19. Tickets will be priced at $8 for regular seating, $6 for seniors, and free for UMKC faculty, staff and all students with UMKC or student ID.